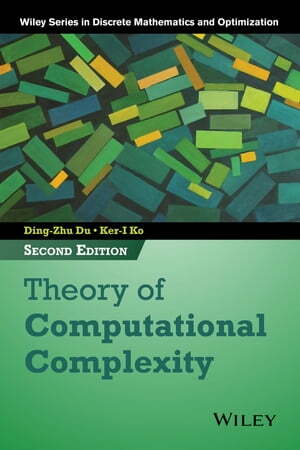 Collins Booksellers - Theory of Computational Complexity by Ding-Zhu Du & Ker-I Ko, 9781118594971. Buy this book online. A thorough revision based on advances in the field of computational complexity and readers’ feedback, the Second Edition of Theory of Computational Complexity presents updates to the principles and applications essential to understanding modern computational complexity theory. The new edition continues to serve as a comprehensive resource on the use of software and computational approaches for solving algorithmic problems and the related difficulties that can be encountered. Theory of Computational Complexity, Second Edition, is an excellent textbook for courses on computational theory and complexity at the graduate level. The book is also a useful reference for practitioners in the fields of computer science, engineering, and mathematics who utilize state-of-the-art software and computational methods to conduct research.